The Sullivan Center for Children opened in 1989, and it grew from a promising idea into the comprehensive Center it is today. We moved to our current location in the Shaw Westgate Center in March 1996. We have two large adjacent buildings that house over 16 clinicians. We have spacious child friendly therapy offices and waiting rooms, observation rooms, testing rooms, and a dedicated play room and a game room. Our facility is child centered, as you will see immediately when you enter our waiting room. On a busy day, you will see children enthusiastically playing with Thomas the Train. Our offices have sand trays, dollhouses, toys and games for play therapy and building rapport. Kids usually breathe a notable sigh of relief when they discover the Child and Teen friendly environment. The Center is also situated in a park-like setting that clients love. Clinicians often use the area to go on walks during sessions or to engage in outdoor activities with their child clients. During your visit you will likely see "Psyche." Rescued as a kitten by Dr. Sullivan, Psyche is a very special ragdoll cat who has made her home at the Center for the last 12 years. She trolls the grounds, participates in some therapy sessions, sleeps a lot and provides a sense of comfort for the children during difficult times. Emon Abdolsalehi-Najafi, Ph.D. completed her bachelor’s degree at the University of California, Irvine in psychology and social behavior. She continued her graduate education at the California School of Professional Psychology at Alliant International University in Los Angeles, where she completed both her M.A. and Ph.D. in clinical psychology, with an emphasis in children and families. For her pre-doctoral internship, Dr. Abdolsalehi-Najafi was trained at the Children’s Hospital Los Angeles-USC hematology/oncology program, where she worked with children and families diagnosed with cancer and blood diseases, helping patients’ process issues of loss and grief and aiding in the development of coping skills. She also completed one year of training at Desert Willow Treatment Center, an in-patient psychiatric facility in Las Vegas, providing mental health services to emotionally disturbed children and adolescents. 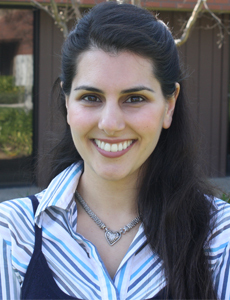 For her post-doctoral fellowship, Dr. Abdolsalehi-Najafi worked for a private practice in Las Vegas, where she conducted and assisted with a variety of psychological evaluations including Social Security Disability, Department of Child and Family Services, child custody, juvenile certifications and risk assessments. She has had extensive experience working with and assessing children and families affected by Autism Spectrum Disorder and commonly associated Neurodevelopmental Disorders. Her research interests include examining multicultural issues, acculturation, and coping patterns in newly diagnosed children and families. Dr. Abdolsalehi-Najafi has been employed as a psychologist at the Sullivan Center for Children since 2013, and became a member of the Senior Staff in 2016. She was promoted to the Director of Organizational Development for the Sullivan Center in September 2017.